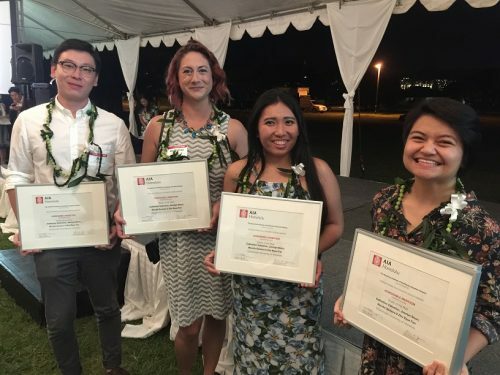 On November 15, four Chaminade undergraduate students were honored at The American Institute of Architects (AIA) Hawaii Chapter Gala for their inspiring and revolutionary designs. Three of the students—Fan, Sison and Soriano—graduated from Chaminade in May 2018 and are working for design firms. Valentine will graduate next month.